Recent groundwater tests on a Lee County conservation property show levels of arsenic 30 times higher than the federal government allows in drinking water. 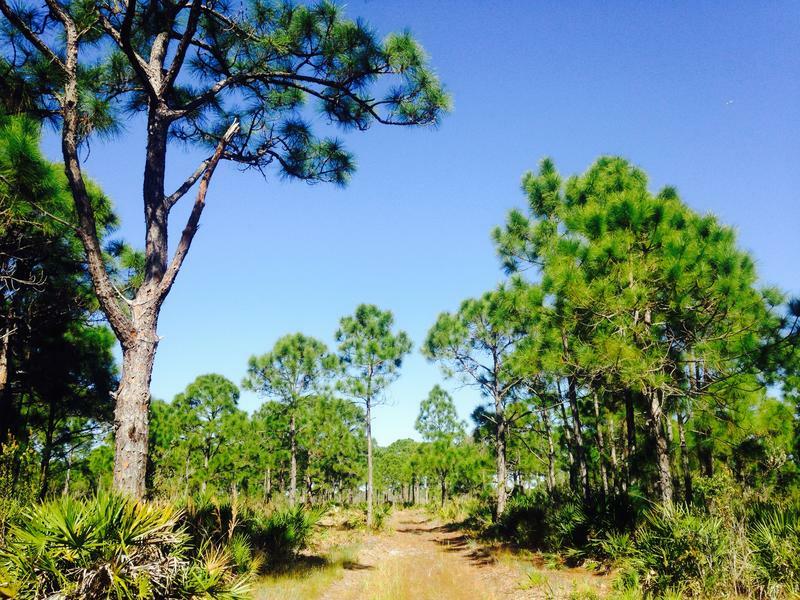 Lee County's Conservation 20/20 Committee, which purchases and maintains preservation lands, opened new groundwater wells for arsenic testing on Pine Island Flatwoods Preserve in Saint James City this year. That's because committee member Greg Rawl, who's also a hydrogeologist, found old documents the county sent to the state showing extremely high arsenic levels in the groundwater there. Documents WGCU obtained during an investigation show those levels got as high as 14,000 times more than the U.S. Environmental Protection Agency allows for drinking water in 2013. Documents also show the state allowed arsenic testing to cease there sometime in 2015. 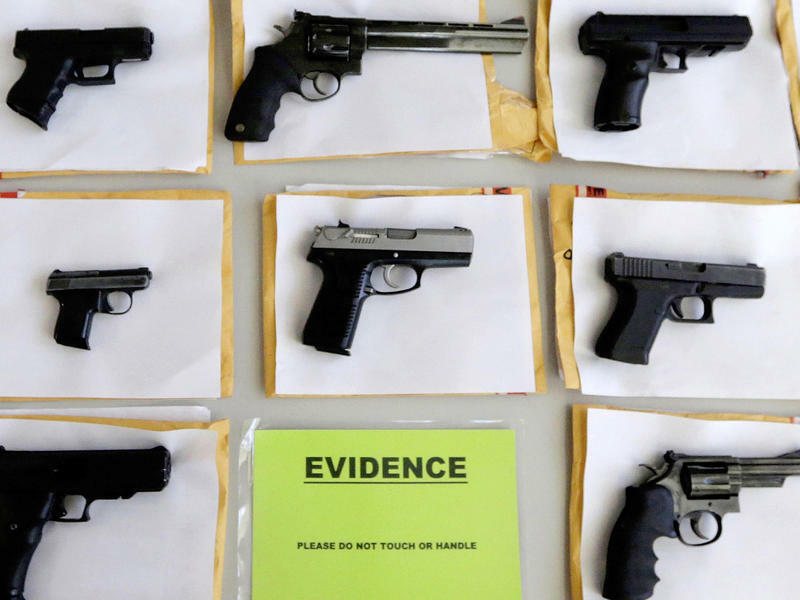 Since then, the county and state said those numbers were submitted incorrectly. But the Conservation 20/20 Committee installed new groundwater wells in February and reinitiated arsenic testing of the site, which is to be tested quarterly for two years. Arsenic levels are not supposed to surpass 10 micrograms per liter. The first test showed nearly 36 micrograms of arsenic, and the second nearly 41 micrograms. But the third test from August, which Conservation 20/20 head Cathy Olson just released, spiked to 300 micrograms per liter-- 30 times higher than federal standards. Olson said at the November committee meeting, she had the well tested a second time for that quarter just to be sure there were no errors. And she said, that number was accurate. Below is the August 2017 third quarter groundwater testing numbers from Pine Island Flatwoods Preserve. Go to page 18 for Monitoring Well 2 arsenic results. "We wanted to rule out the possibility of contamination so we re-sampled and it came back in the same realm, so we have another high reading," she said. The most recent test from October is still high at 229 micrograms per liter of arsenic. The new tests also reveal the groundwater is very acidic with a pH of 4. The state says acceptable levels of pH are between 6.5 and 8.5. Olson told the committee she's been playing phone tag with the Florida Department of Environmental Protection to get guidance on what to do about these arsenic levels and how to figure out where it came from. 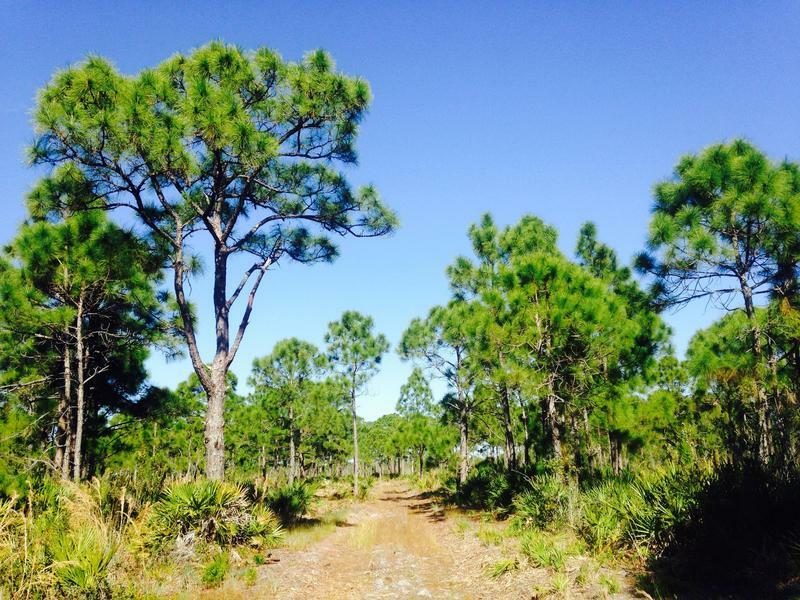 For now, Olson is having the contracted groundwater testing company Kimley-Horn and Associates, Inc., with results coming from Benchmark, also do soil samples on Pine Island Flatwoods Preserve. Lee County records showing dangerously high levels of arsenic on Pine Island were ignored by county and state environmental officials, an investigation by a WGCU reporter found. The levels were several times the federal limit for environmental safety. 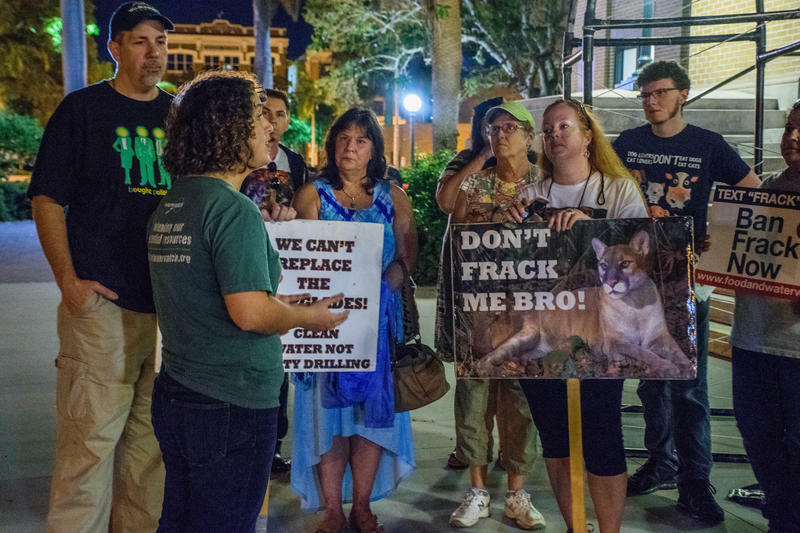 A group of Lee County residents met in downtown Fort Myers Tuesday night to stage a mock oil rig spill to draw attention to the risks of fracking and promote the proposed bipartisan legislation that would ban the practice in Florida.